15" x 17". Hang as poster for reference during therapy or place on table. Client can identify own strengths and family & community resources by placing figures in self-selected sectors to show these assets and resources. 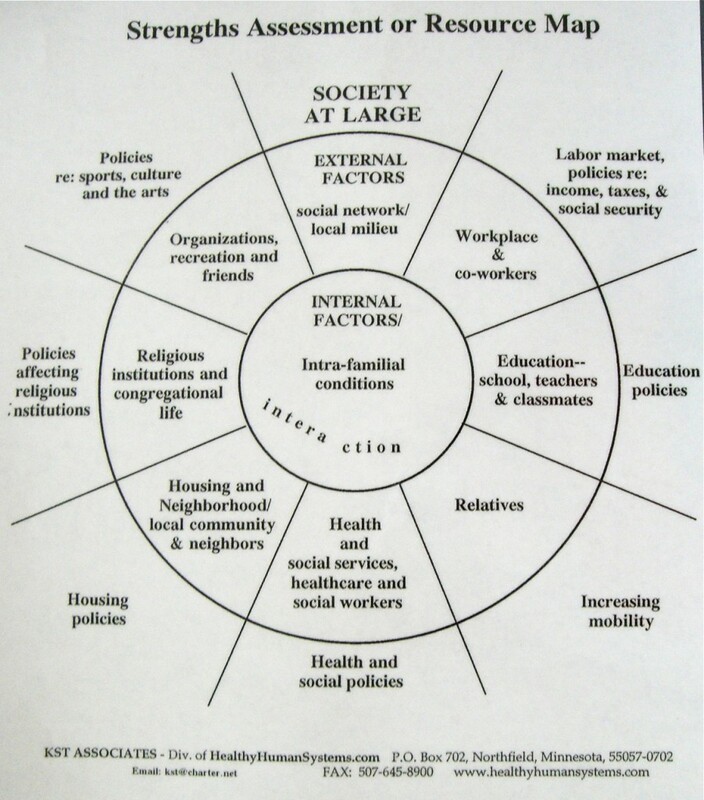 Strengths Assessment and Resource Map: Inner circle (the micro-sphere) is for family interactions; the meso-sphere represents the social environment, with sectors for the systems one interacts with: neighbors, friends and kinship network, school, workplace, health & welfare organizations, religious institutions, etc. The macro-sphere indicates the cultural milieu and broad external forces.